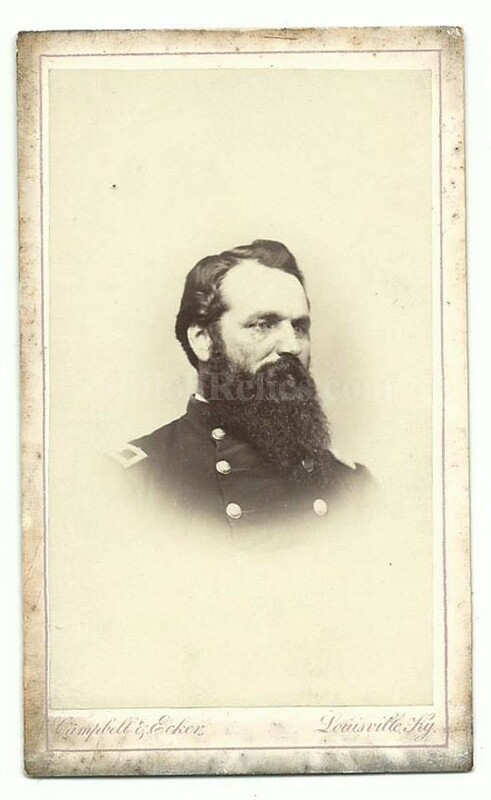 This is an original Civil War era CDV image of Civil War Brevet Brigadier General John Carter Moon . During the Civil War, he served early on as a Captain of the 85th, Ohio Infantry. In then as Captain in the 88, Ohio Infantry. When there was a demand for officers to be in charge of the black regiments, he served as Colonel of the 118th United States Colored Troops. He received his promotion to Brevet Brigadier General on November 21, 1864, for his "meritorious services during the war." When we say he is a "Brevet" Brigadier General this means that because of his service to the country he was awarded the rank as an honor. This is a bust view of the general in a stately pose. The CDV images were made by applying a thin paper photo image of the famous person of the day to a heavier paper card. This made the image more durable and easier to display and also added uniformity to the size. The overall size of a CDV image is approximately 2.5 inches by 4 inches in size. 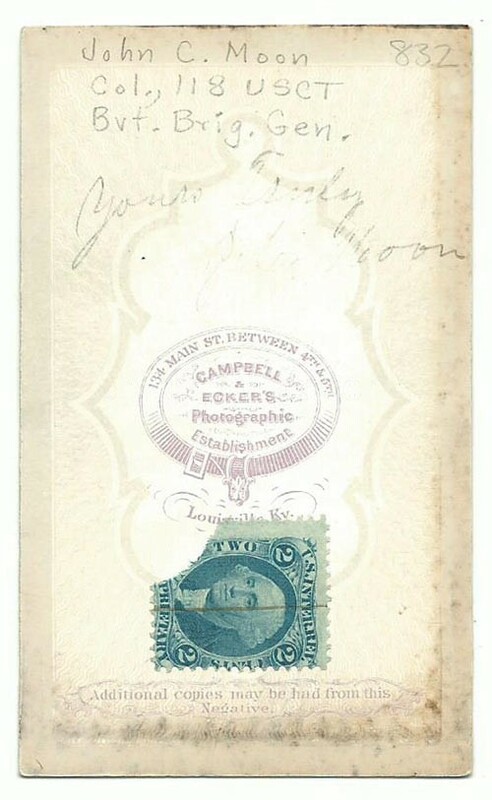 On the back of the card, it has the photographer Mark of Campbell and Ecker of Louisville, Kentucky. It also has the George Washington stamp on the reverse as well as a faint but legible autograph that reads "Years Truly John Moon". This is a solid original Civil War Union CDV image.